Wearing the correct size of body jewellery is very important. If you wear a size that is too small it could easily irritate or hurt your piercing. 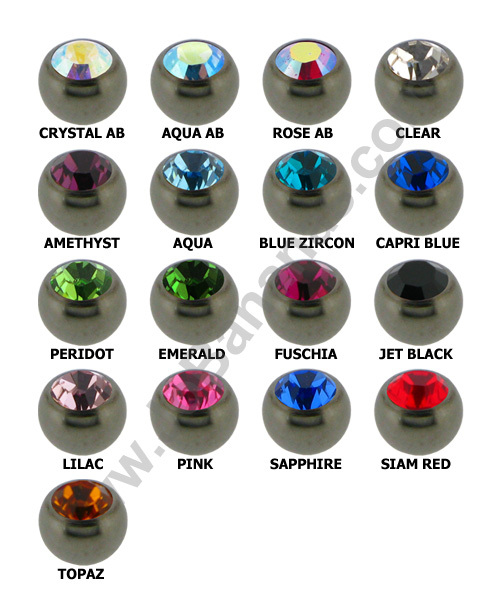 If your jewellery is too big it can easily catch your clothes resulting in a damaged piercing. The above example pictures show you the measurements that you need to take for a Banana Bar, a Ball Closure Ring (BCR), a Barbell and a Labret. Only measure a piece of jewellery that currently fits you correctly. An alternative method is to directly measure your piercing between both holes using a ruler, although this can sometimes be difficult on your own. 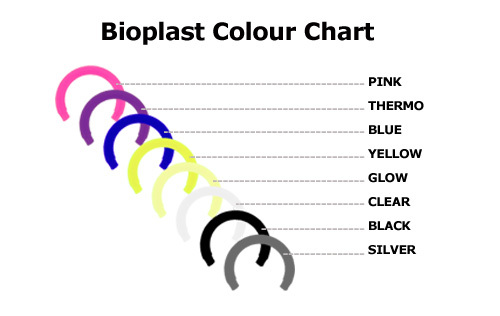 These are the the standard thicknesses of body jewellery that we sell, so unless you have an unusual piercing, you do not have to worry about this measurement. We often get asked what are the sizes of jewellery in my country. In Europe thickness is shown in mm but in other parts of the world people use gauge. The following table should help you convert the sizes. 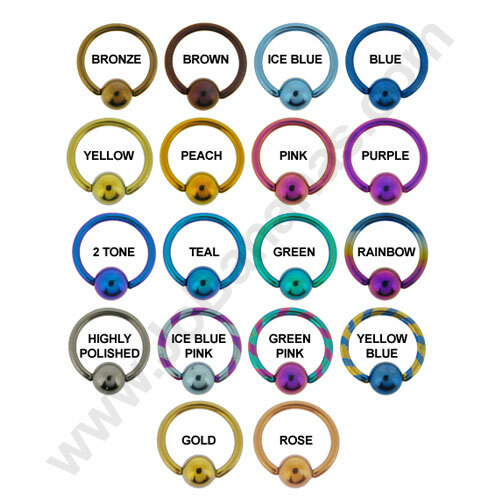 Please note that these colours are shown to give an indication of the colour of the jewellery but slight colour variations do occur occasionally. Not all designs are available in all colours. "Super fast delivery. As described...Excellent. Thanks"
"I've purchased a couple of times from JoBananas. The products are good and reasonably priced and the customer service is outstanding. One of my..."
"Yet again Jobananas outstanding service . Just received my latest order which was only dispatched yesterday wow oh wow . I've set up an account..."
"made this purchase for my daughter. was deliberating as never used this site before .but hay I ate humble pie . delivered in days was kept informed..."
"Jobananas was recommended to me by a friend and I can definitely see why :) The website is user friendly, lots of information, individual sections..."